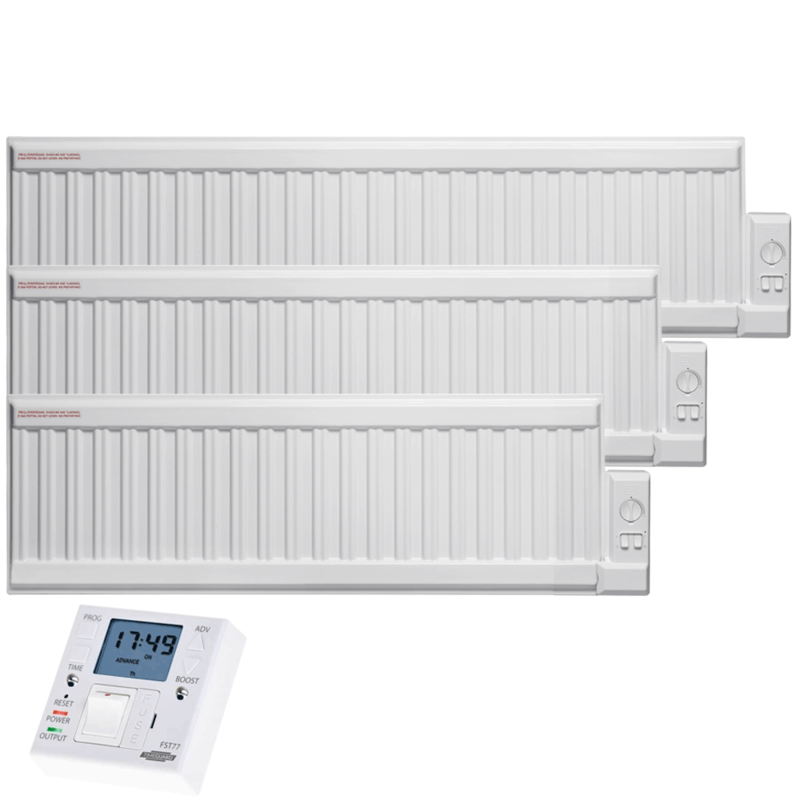 Oil-Filled Electric Radiators / Radiant Wall Heaters. 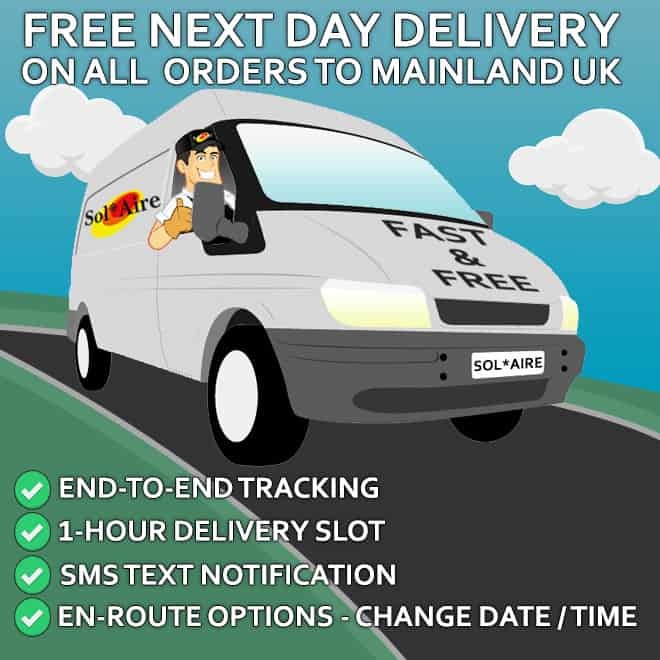 Solaire are based in the UK, and aim to sell the best quality wall-mounted oil-filled electric radiators / radiant wall heaters online, whilst offering good value for money, excellent customer service and fast delivery. 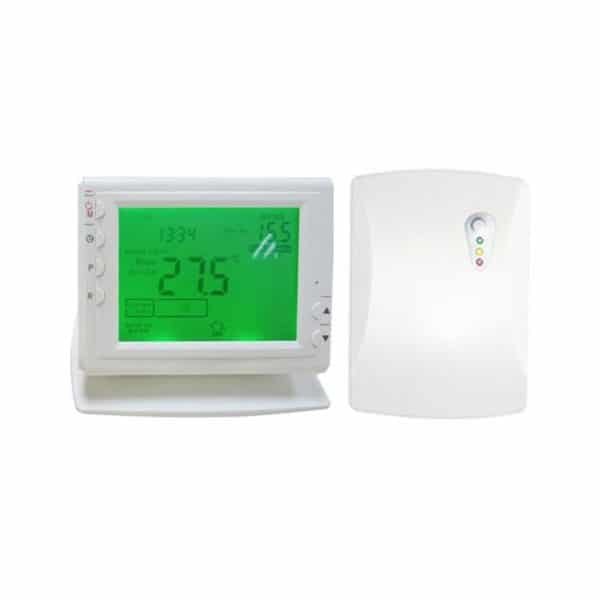 In this category we offer two excellent models, the APO and ALO. 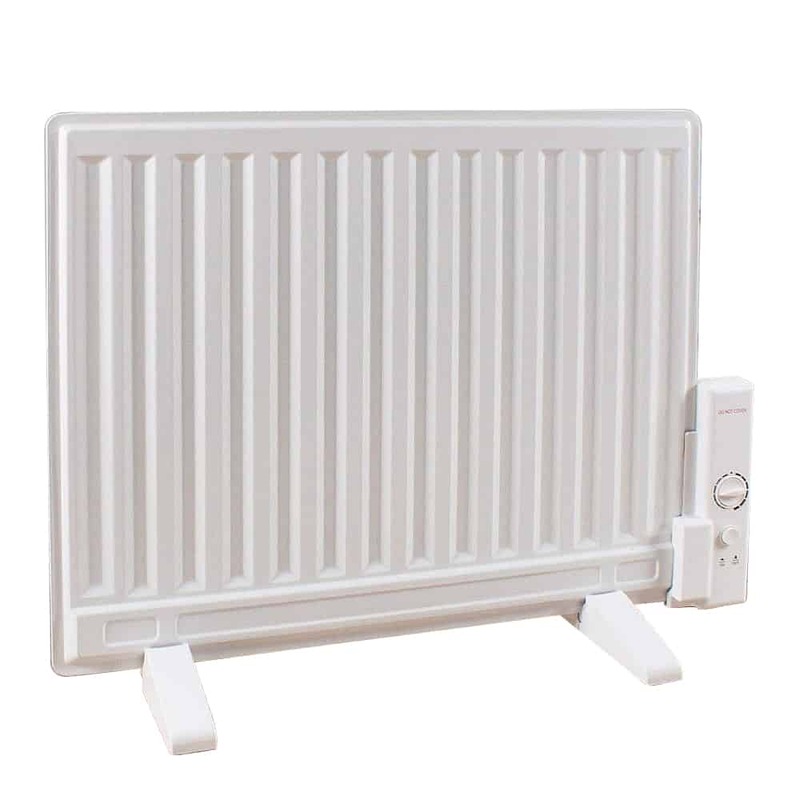 The APO is a standard height oil-filled electric radiator, which appearance is like a central heating radiator in style. 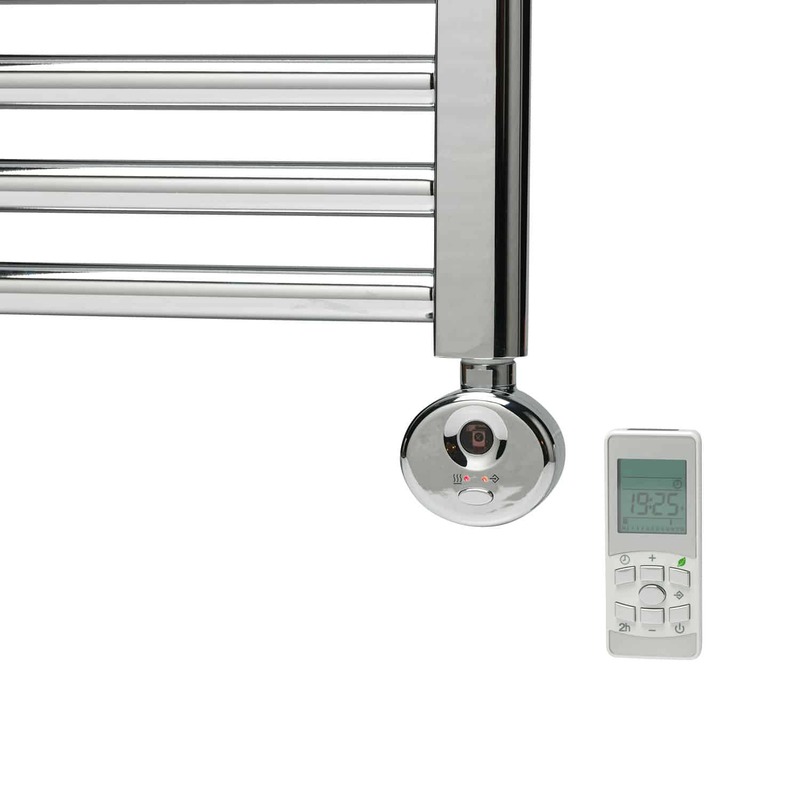 It is 600mm in height and comes in a range of power outputs, including 350, 750,1000 &1250 W / Watt. 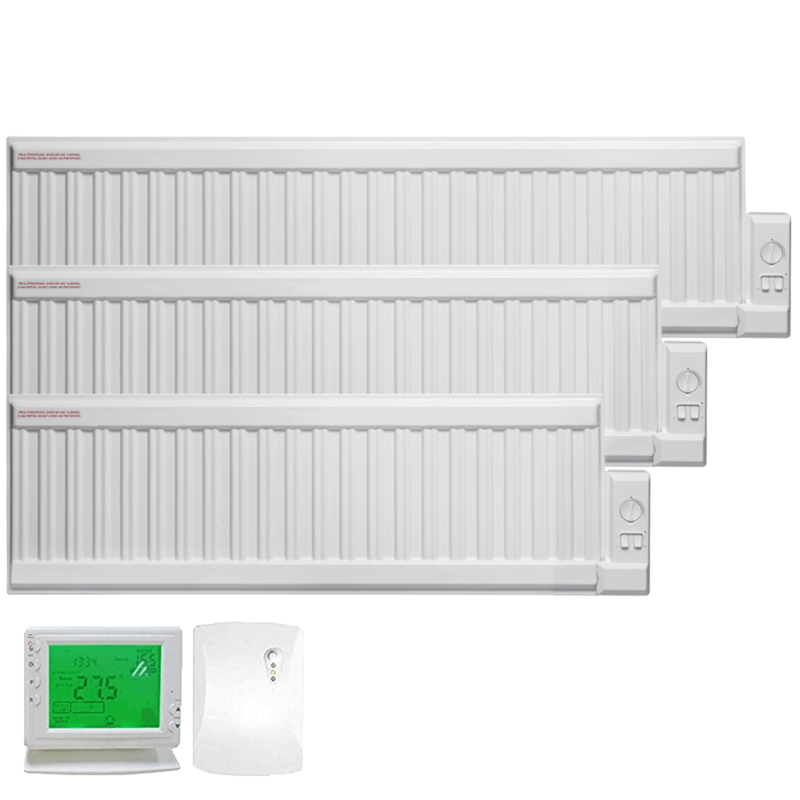 In Kilowatts, 1, 1.25 kW. Width varies according to power output, from 600mm to 1380mm. 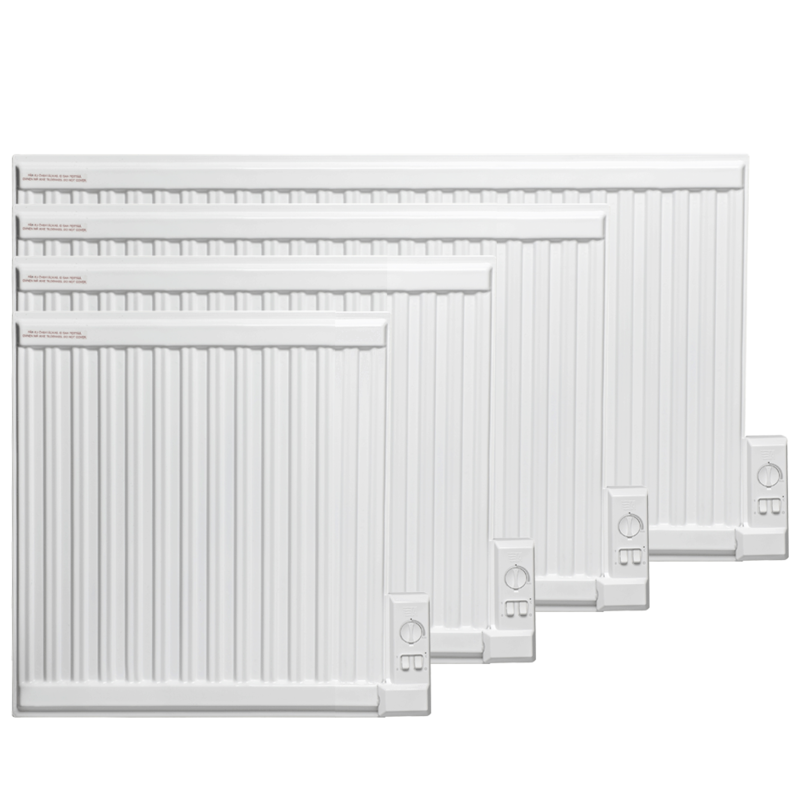 There is also a low profile / skirting model, the ALO, which is ideal for low spaces such as a conservatory. 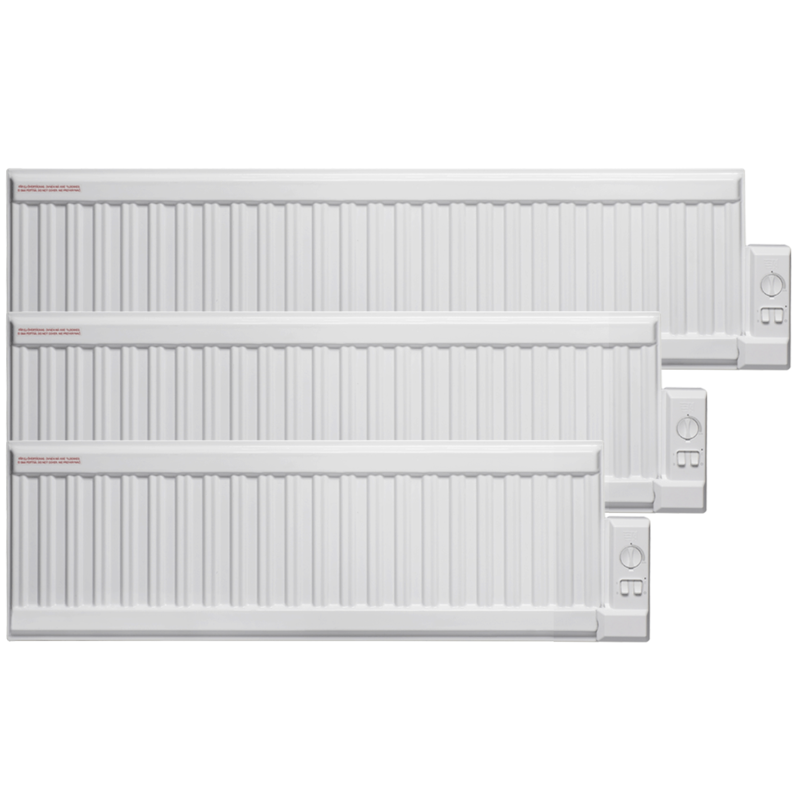 The power outputs for this model are 400, 600 and 800 W / Watt. 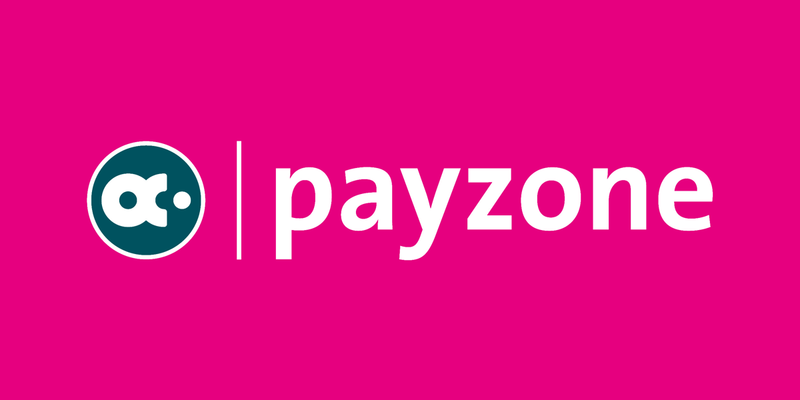 It has a low pro file, compact height of 300mm and width ranges from 900mm to 1380mm. 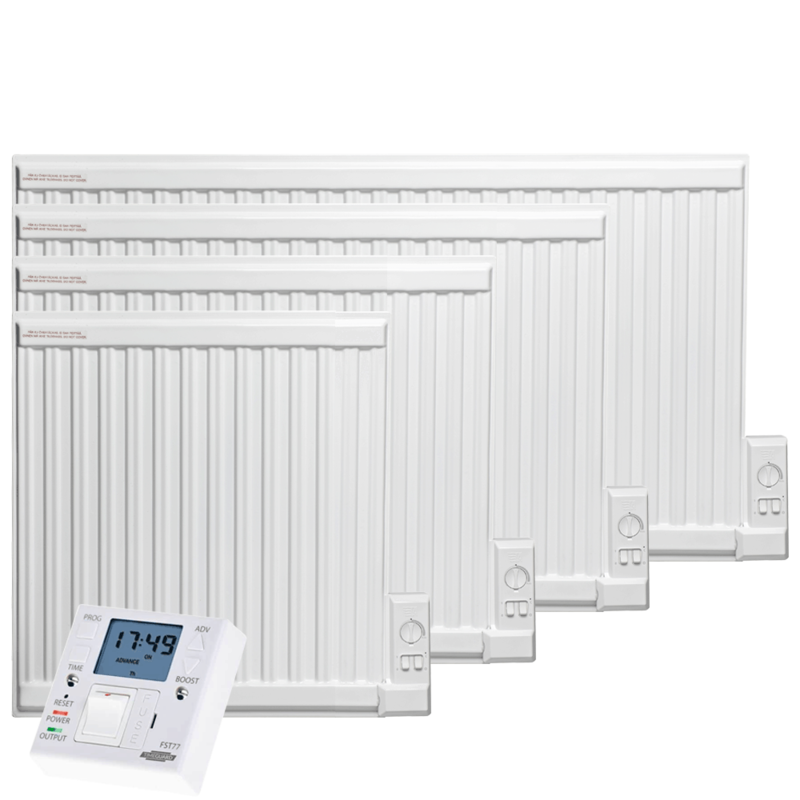 Our oil filled electric radiators / radiant wall heaters have a range of applications – we sell models to suit most room spaces, including home, bedroom, conservatory, caravan, office, shed, outbuilding. 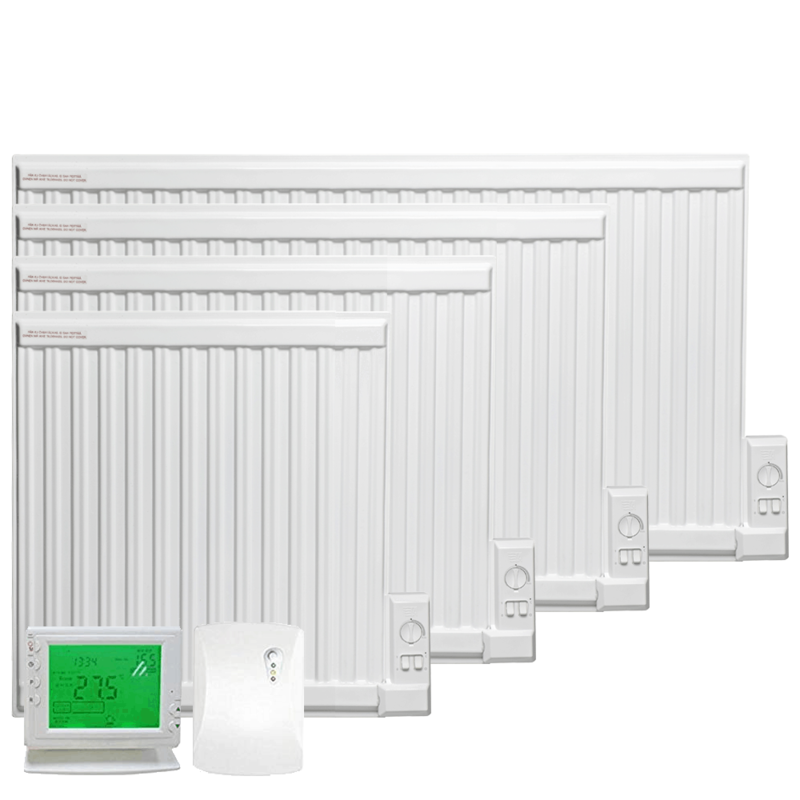 The heater comes with an on/off switch, a built-in thermostat (to adjust the heating temperature) and a safety cut-out. Installation is simple, with an easy installation wall mounting bracket. 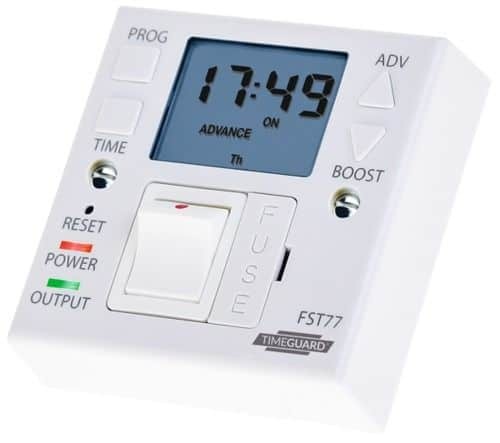 In this category you will see options to buy the heater with a fused spur timer or wireless 24 hour 7 day timer with thermostatic control.